The glossy advertisements broadcast by al Shabaab are not the only reason you should take note of this terrorist outfit. Al Shabaab is a Somali Mujahideen “youth” movement that has speedily surfaced to the top of the headlines following the Westgate Mall attack in Kenya last month. The group has made effective use of the social media to broadcast its purpose and ideology, but there is more about the militia that we all need to know. Al Shabaab was founded in the wake of the war in Somalia in 2006 as an offshoot of the Islamic Courts Union, which, prior to the war, ruled much of southern Somalia with strict sharia law. The group is closely allied to al Qaeda and Iran. It has only fought small-scale battles against forces supporting the current Somali government—that is, until recently. 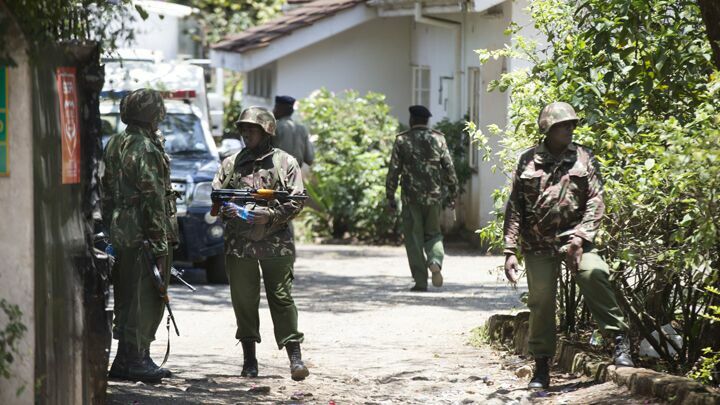 In the Kenyan attack, al Shabaab proved to be a force to be reckoned with internationally. It took siege of the Westgate Mall for four agonizing days. On October 5, the militants proved formidable enough to repel an elite team of U.S. Navy seals, which invaded their fortification in the Somali city of Barawe, south of the capital Mogadishu. The port city of Barawe is almost entirely controlled by al Shabaab, earning it annual trade revenue of about $25 million. The U.S. special forces unit, seal Team Six, is the same unit that killed al Qaeda boss Osama bin Laden in 2011. Its mission on October 5 was to capture the terrorist Abdikadar Mohamed Abdikadar. Abdikadar, also known as Ikrima, is the go-between for al Shabaab commanders and al Qaeda terrorist cells in Kenya, Yemen, Afghanistan and Pakistan. The seals underestimated al Shabaab’s capabilities and were overwhelmed by the militants’ counteroffensive. Al Shabaab is believed to be tied to the explosion that went off in the Ethiopian capital Addis Ababa on October 13. This was a premature detonation of what would have been a makeshift, yet deadly, suicide bomb. It only killed its operators—two Somali men who were in Ethiopia illegally. Al Shabaab claimed responsibility for the botched attack and claimed that the intended target was the soccer World Cup qualifier between Ethiopia and Nigeria, held on October 14. This wouldn’t have been al Shabaab’s first suicide attack on fans watching World Cup soccer matches. In 2010, the group coordinated an attack that killed 70 soccer fans in Uganda’s capital, Kampala. On October 16, the ever-ambitious al Shabaab Islamists released a glossy video advertisement that called on sympathizers to join their jihadist operations. The video boasted of al Shabaab recruits from the British cities of London, Liverpool, Cardiff, Bristol and Birmingham. Ikrima, it has been revealed, lived in Britain for about a year. It is true that al Shabaab still lacks the sophistication of a transnational terrorist organization like its parent al Qaeda. But the reality is that it has been making huge gains of late. Currently, it is mainly importing terrorists to the Horn of Africa region; it may soon start exporting them in droves. Geopolitical trends inform us that radical Islam is growing across the Middle East and Africa. Europe’s uneasiness will only grow until radical Islam is snuffed out in the prophesied, blitzkrieg “whirlwind” of Daniel 11:40-43. This prophecy reveals that dynamic events have to take place in Libya and Ethiopia. For it to be fulfilled, Libya and Ethiopia must align with Iran and, in turn, be conquered by the [European] king of the north. …[Ethiopian] Muslims make up one third of the population, and yet they are going to take over Ethiopia. Daniel 11:43 says they are going to win. Pay attention to al Shabaab and radical Islam’s exploits in Africa and the Middle East. Watch how the world responds to it. That response, and the glorious outcome that follows all of that terror, is prophesied in the Bible. Request Mr. Flurry’s free booklet The King of the South for more specific details.